He ignored his big fear of germs to save a little girl. When Team Scorpion investigated why the governor's young daughter was sick, Sylvester infiltrated the office of the man responsible. While Happy and Toby distracted their suspect by hitting his car, it didn't buy enough time. The man reentered the building and Sylvester was trapped. His only alternate exit? 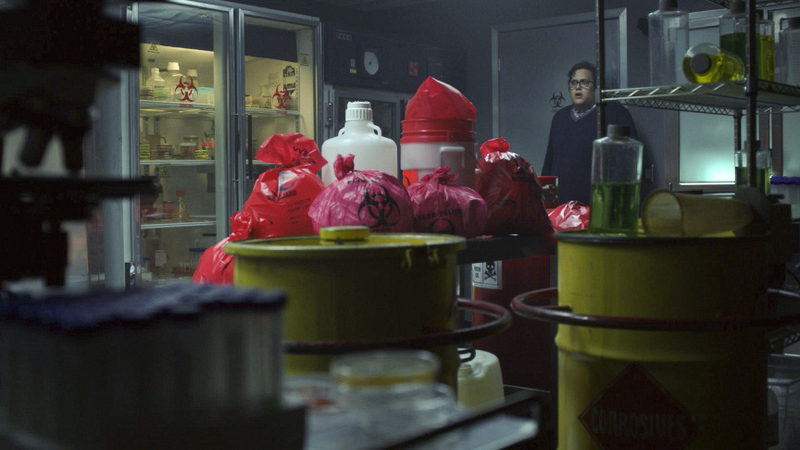 Through a door clearly marked "biohazard." To get out of the records room, Sylvester had to run through a lab filled with all kinds of diseases and germs—a scene right out of his nightmares. He pulled through and ultimately helped save the sick little girl.